Midway through their five year mission to boldly go where no man has gone before, Captain Kirk and the crew of the USS Enterprise find themselves exploring a piece of dangerous uncharted space at the edge of the frontier. Star Trek boldly goes back to the very edge of the frontier and pushes beyond for an action packed adventure that continues the proudest traditions of franchise. Ardent Trekkies will particularly be satisfied to see their most familiar and beloved characters once again exploring space and Technicolor alien landscapes packed with fantastic visual curiosities and credible dangers. This generations Enterprise crew continues to build upon the fine groundwork laid in the recent reboots to cement their own identities as the characters. Indeed focusing on character development and self-contained action over an overly complicated plot reliant on an depth knowledge of the franchise makes the film both satisfying for devoted Trekkies and a comfortable entry point for newer fans. Chris Pine plays a slightly more self-aware and mature Kirk, perhaps now even closer to the assured and experienced captain fans expect. Zachary Quinto likewise remains a perfect fit for his logical half Vulcan companion mr Spock. Meanwhile Karl Urban continues to shamelessly steal scenes as the ever pessimistic Doctor McCoy. The best compliment you can pay the cast and the script is that the new cast no longer feel like versions of the originals. An excellent example of this being the much discussed but surprisingly subtle reveal of Sulu’s LGBT status. 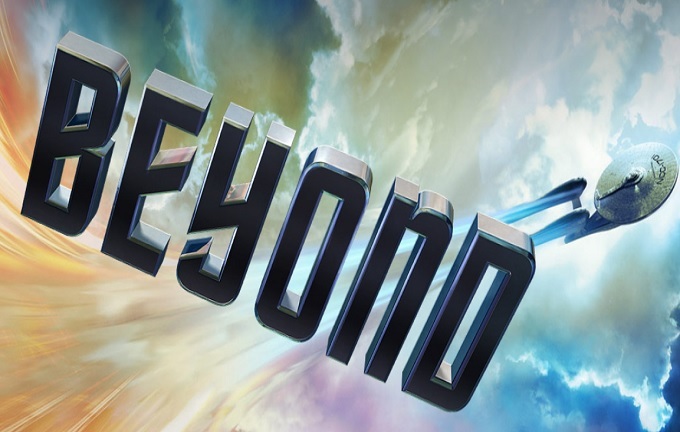 Beyond proves an appropriate title for a film that truly pushes beyond the limits of what has been well established about these characters in decades of television and big screen adventures. Though the film is largely centered on the Enterprise crew it remains a huge scale action adventure. Beyond injects the series with even more gravity defying and boldly colourful action sequences. New Director Justin Lin adds his own style into the carefully faithful look and feel of JJ Abrams re-imagined Star Trek universe. Frequent use of liberated camera work and a more varied array of unique alien life give the film a unique visual flare. Three films into the rebooted Star Trek franchise some long-time fans may feel just a little disappointed that certain elements of the original series and films are yet to make a bigger appearance. In particular after the last film teasingly reintroduced the villainous Klingon Empire, it’s a slight shame that we still haven’t seen the Enterprise and its crew do battle with their most iconic intergalactic foes. Though Idris Elba delivers a competent performance in a mostly unrecognizable role, in truth his character’s villainous plans and motives feel a little poorly defined. The film quickly establishes him as a brutal alien threat to both the Enterprise and its crew, but he lacks the history and gravitas of some of the franchises more iconic and established villains. Despite Elba’s best dramatic efforts this ultimately leaves the character feeling like a generic space danger rather than something more truly unique or memorable. Although Star Trek Beyond strongly develops and explores the familiar crew of the Enterprise, overall it’s a largely self-contained adventure truly closest in spirit to the episodic original series. This undoubtedly makes it more accessible to a wider audience but may frustrate some fans hoping to see the fate of the wider universe more at stake. It’s also worth noting that while Lin’s directing may add many things to the franchise, some elements such as the prominent return of the Beastie Boys on the soundtrack may fiercely divide fan opinions.